When my sweetheart and I were first married we would drive thru the beautiful homes of Menlo Park, CA. home of the Sunset Magazine publication. We would dream about the day we would have a home in California that represents the theme of California living with flowers and a garden with FRESH vegetables. Sunset Magazine Gardens in our own back yard. August is a HOT month in the garden. I have planted flowers that are resilient to the afternoon heat. The Black Eyed Susan is the work horse of my garden. They hide all the early blooming plants as they go to seed or in the case of the roses. Resting until the weather cools and then the roses will bloom until the frost. The vegetable garden is doing great this year. Sweetheart amended the soil with mushroom compost and the tomatoes are delivering the goods. Have you ever had fried squash flowers? So delicious. Boiled with salt, pepper and OVOO. I think I might freeze some for winter dinners. Thrifty. Yes? West Coast version of Gazpacho. How about some Manicotti's for dinner this winter? How do you like my view? I have a photo of this yard when we first moved into our home 43 years ago. I plan the share that photo with you when winter sets in and I want to remember the beautiful summer days in my garden. I suppose that could be a Before and After post. What a beatiful yard. I can only wish we have even lost our grass here in Texas. Garden success is what I see here!! You're so lucky to have such space for a beautiful garden! Betty, your garden is wonderful! What variety! I love your Black-eyed Susan's. Wow...I'm so in love with your veggie garden! They are so healthy and delishus looking. Love the colors too! Happy Thursday! A Sunset Magazine Garden for sure! 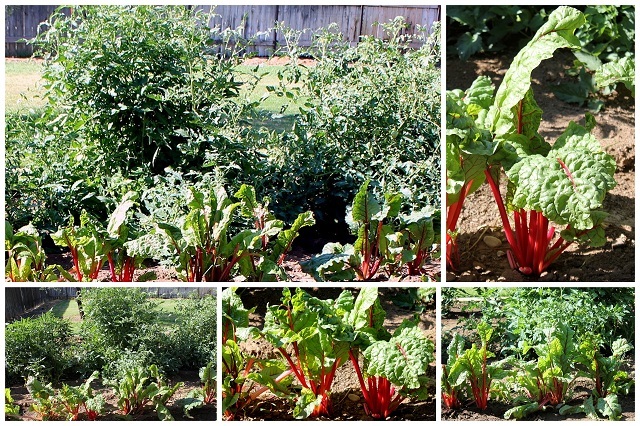 Your veggie garden is wonderful! Your garden is a delight where ever you look! I'm sure it's been lots of work and a labor of love. Thanks for the tour! Have a delightful week. What a beautiful garden post! You have a green thumb for sure! Thanks for sharing. visiting you for the first time today fro Seasonal Sundays with the Tablescaper. Your garden is wonderful, especially the kitchen garden! My swiss chard was not successful this year, too much rain I think. 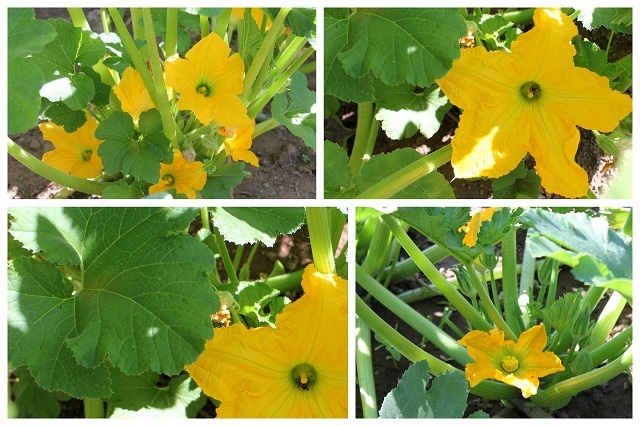 We've eaten courgettes(zucchini) every which way this summer but haven't resorted to eating the flowers yet! What a wonderful garden you have...worthy of the Sunset Books, for sure. 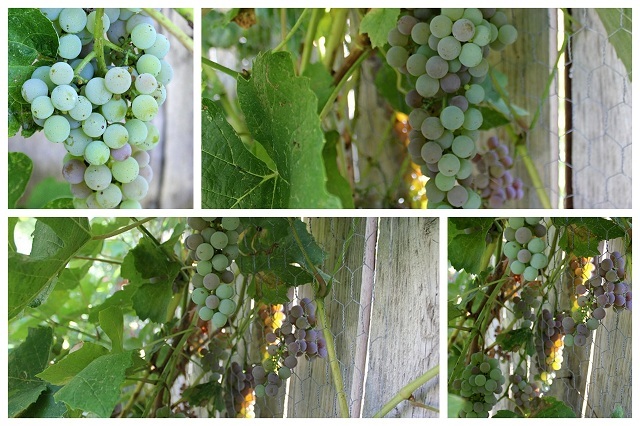 I especially love your flower borders and the photos of your beautiful grapes. Wow! Thanks for sharing and Happy Seasonal Sunday. Your flower garden is so attractive. I would enjoy your view too. I am so impressed with your vegetables! The chard is so pretty and healthy looking. You should be very pleased. Great to have you being a part of Seasoanl Sundays.